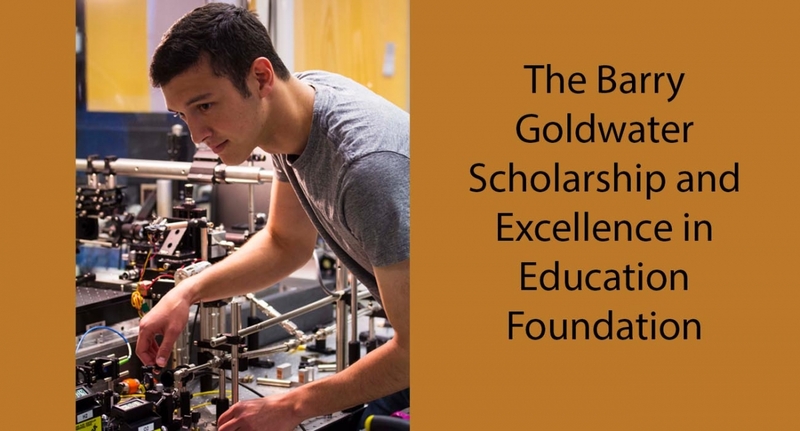 Eliot Fenton, along with Christopher Bambic and Prayaag Venkat were among the 240 Barry Goldwater Scholars selected from 1,286 students nominated nationally this year. Natalie Livingston was recognized with an Honorable Mention. The four students, all currently UMD Juniors, plan to pursue doctoral degrees in their areas of study and to become university professors or researchers at government laboratories. Fenton—a physics major and JQI undergraduate researcher who is also a member of the College Park Scholars’ Science, Discovery and the Universe program and a UMD President’s Scholar—plans to study atomic, molecular, and optical physics in graduate school. He intends to pursue an academic career in quantum mechanics and quantum computing. Working with his faculty mentor, Physics Professor and JQI Fellow Luis Orozco, Fenton’s research has yielded significant technical breakthroughs in the production and characterization of high-quality optical transmission nanofibers used to trap atoms for quantum physics and computing studies. His achievements earned him an invitation to the Niels Bohr Institute in Copenhagen, Denmark in the summer of 2016, where he worked with experienced scientists to refine nanofiber fabrication techniques. Click here for the full CMNS news article. Written by Matthew Wright, CMNS.